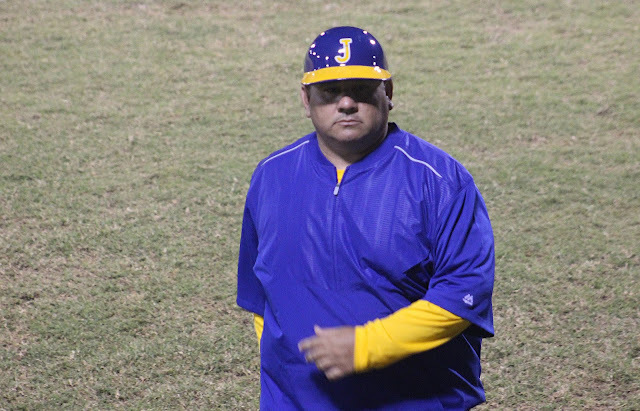 Dragons baseball coach Juan Fontela has stepped down, according to Jefferson athletic director Bernard Cannon. TAMPA – Jefferson baseball coach Juan Fontela resigned from his position as the Dragons head coach on Wednesday, school athletic director Bernard Cannon confirmed on Thursday. Fontela, who was named the Florida Dairy Farmer’s Class 6A coach of the year after Jefferson claimed the FHSAA state championship in 2018, leaves after five seasons as the Dragons head coach. Cannon said that he was informed by Fontela on Wednesday afternoon that he would be stepping down immediately as the Dragons coach, stating the reason as being personal and family obligations. Though the team claimed a state title last season, it’s first in 79 years of program history, Fontela himself finished the season (and started the first week of this year’s regular season) suspended do to an ejection in the playoffs. However, Cannon said that Fontela faced those consequences and that the school was comfortable with him continuing in his role as head coach. Cannon announced that the program would continue this season under the leadership of assistant coach Peter Scaglione, who was the man tasked with leading the team during Fontela’s suspension and was the interim head coach during the Dragons state championship run. Scaglione will serve again in an interim capacity according to Cannon, who said that the school would start its search for a fulltime replacement immediately. 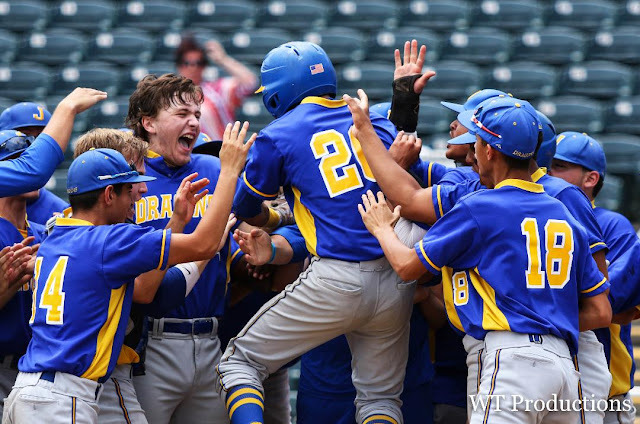 He added that the new coaching decision would be made by the administration, but that he would be taking consideration from former Dragons baseball coach Pop Cuesta, as well as “community members who invest in our program,” to select a new coach. 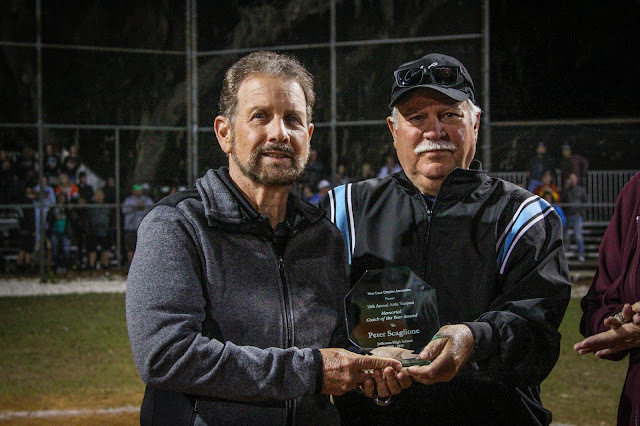 Scaglione, who was awarded the Artie Vasquez Coaches Award at last week’s Saladino Tournament from the West Coast Umpires Association, has been a longtime assistant with the program, but is also an area attorney and has work obligations that will prevent him from taking on the role in an extended capacity. Jefferson is 3-7 on the season and 1-2 in Class 6A-District 8 play and begin a run of seven-straight district games tonight taking on Spoto at home. Cannon said that Fontela, a member of the City of Tampa Police Department who serves as the school resource officer at Jefferson, would maintain that position with the school. He also indicated that Fontela’s brother and nephew, who served as assistant coaches would also be stepping away from the team as coaches.